An amazing version of the Southern classic Biscuits and Gravy. 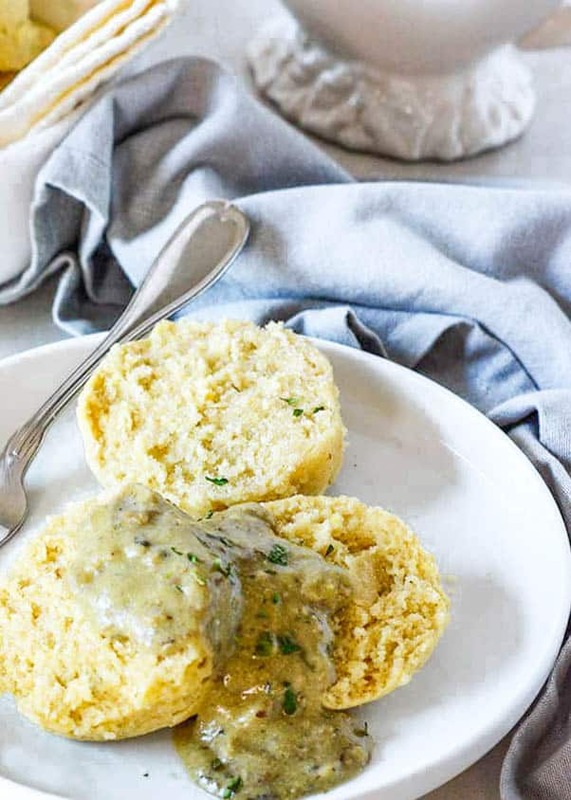 This Easy Vegan Gluten-Free Biscuits And Gravy with fluffy vegan and gluten-free 'buttermilk' biscuits topped with homemade sausage gravy make the perfect breakfast or brunch menu! 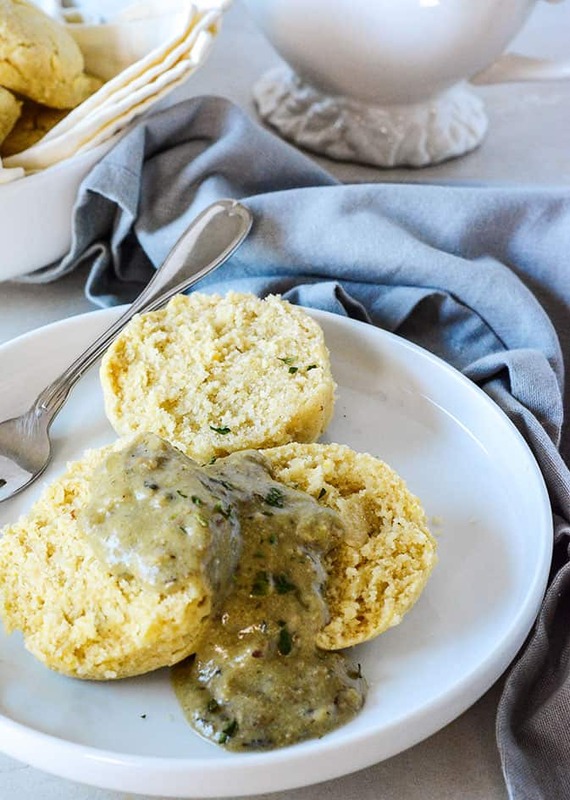 Vegan Gluten-Free Biscuits And Gravy recipe is so easy to make and it is so worth it, the perfect comfort breakfast or brunch recipe idea that would go well with my Scrambled Tofu and my Hummingbird Muffins. 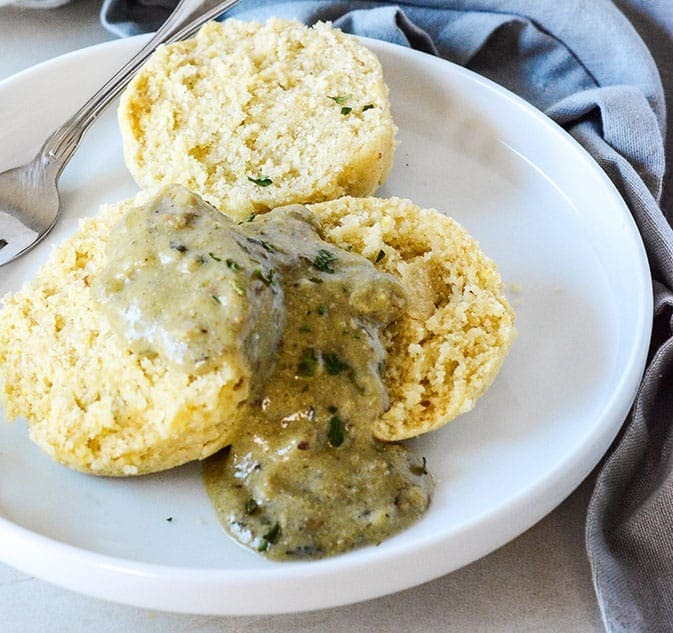 Here in the South, Biscuits and Gravy recipe is popular for breakfast and I wanted to create a vegan and gluten-free version that tastes amazing and with several attempts, I have finally nailed the perfect recipe that will certainly please even the pickiest eater, knowing that it is not from a can and it is homemade, vegan and gluten-free. I used a blend of Bob's Red Mill Gluten Free 1-to-1 Baking Flour and Bob's Red Mill Superfine Almond Flour to get the perfect texture. To make the biscuits, I first prepared the vegan buttermilk with Unsweetened Soymilk and lemon juice and set aside, I combined, the dry ingredients, then I cut in the non-dairy butter, I used Earth Balance Buttery Spread but you can use whatever non-dairy butter you prefer or coconut oil. Next, I added the buttermilk to form a dough, then I rolled the dough out, cut with a biscuit cutter and bake them. 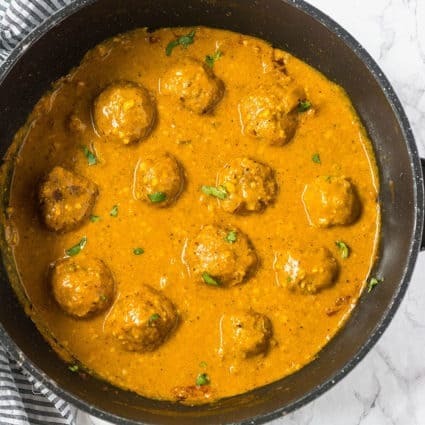 To make the gravy, I sauteed Beyond Meat Beef Crumbles, you can substitute with crumbled tofu, Soy curls or even cooked lentils. Then I added onions, garlic, seasonings, gluten-free flour, unsweetened soymilk to make a delicious homestyle gravy. Also, Try My Delicious Pumpkin Biscuits and Teff And Coconut Biscuits. 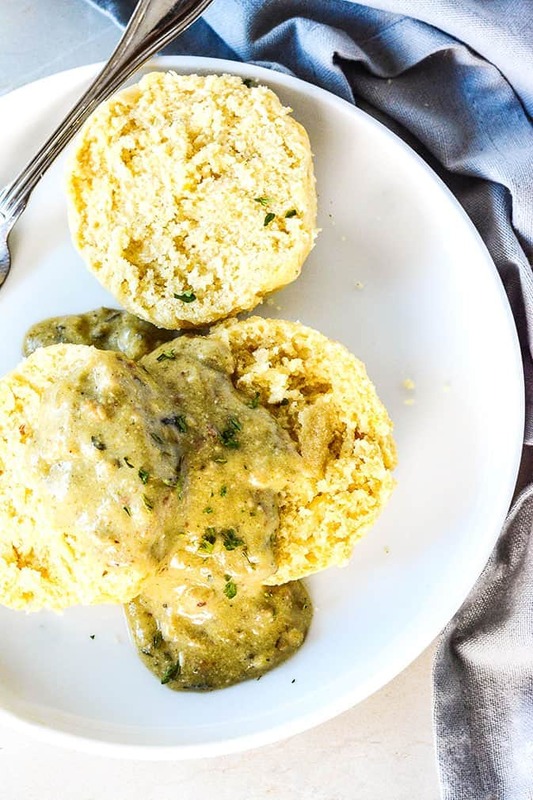 If you make my Vegan Gluten-Free Biscuits And Gravy recipe, snap a photo and hashtag #healthiersteps — we love to see your recipes on Instagram, Facebook & Twitter! Preheat oven 425 degrees F. Line baking sheet with lightly oiled parchment paper and set aside. Prepare vegan buttermilk, in a medium bowl, mix soymilk and lemon juice and set aside for 5 minutes. In a large bowl, mix gluten-free flour, almond flour, sugar, baking powder, flaxseed, and salt. Cut in butter with a pastry cutter or 2 knives until resembles coarse meal. Add buttermilk and stir until combined and a dough is formed. Transfer on to a sheet of parchment paper and cover with a second sheet, roll dough to about 1-inch thickness and cut with a biscuit cutter or glass. 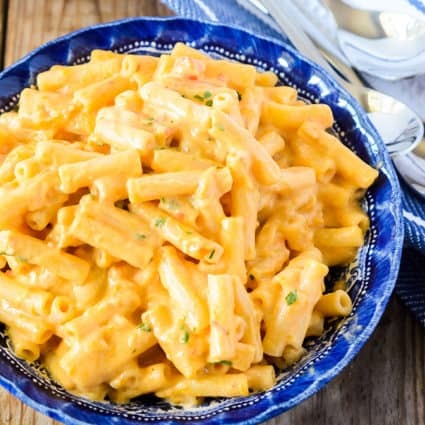 Place on baking sheet and bake for 15-20 minutes or until golden brown. Heat oil to the skillet on medium, add gluten-free vegan meatless crumbles and cook until brown, about 3 minutes. Add onion and garlic and cook for 2 minutes. Stir in gluten-free flour and stir for about 2 minutes. Add nutritional yeast flakes, garlic powder, onion powder, Italian seasoning and rubbed sage. Stir in non-dairy milk and Bragg's liquid until a smooth gravy is formed, you might need to use a whisk.Season with salt to taste. Serve biscuits topped with gravy. 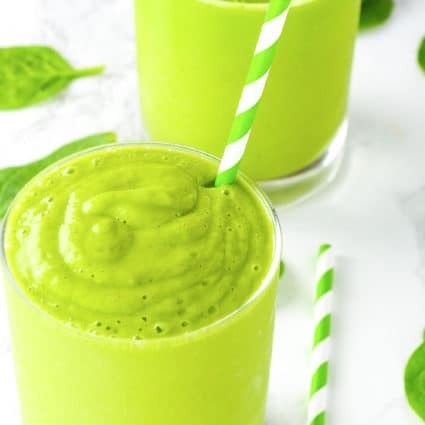 Gotta do this for breakfast!